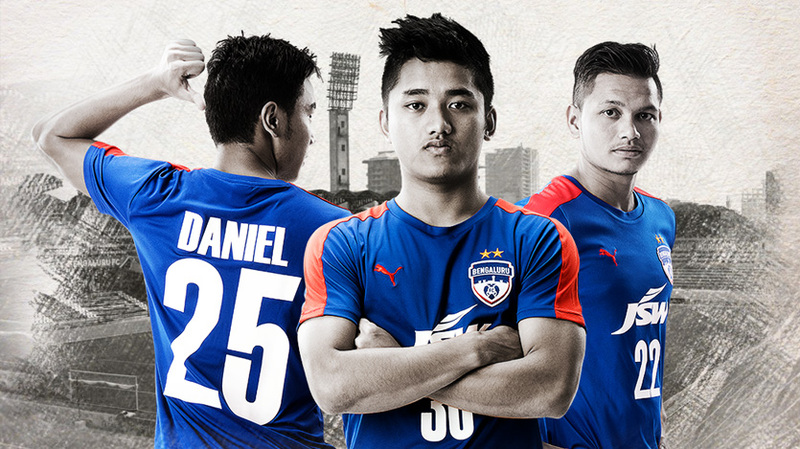 Continuing the rebuild of their squad for the upcoming season, Bengaluru FC have retained two of the most promising youngsters in Indian football in midfielder Malsawmzuala and defender Nishu Kumar, keeping them at the club till the end of the 2017-18 season. The duo make grade for the ‘under-21 uncapped players’ slot for the Indian Super League. Meanwhile, Indian International striker Daniel Lalhlimpuia continues to remain part of the squad and will feature in the Blues’ AFC Cup campaign. While the Inter-Zonal semifinal against North Korean side 4.25 SC is up next in the 2017 AFC Cup for runners-up Bengaluru FC, they will also be playing in the 2018 edition of the competition having sealed qualification courtesy the Federation Cup triumph in May. The trio who signed for Bengaluru FC from AIFF’s Elite Academy in November 2015 have gone on play crucial roles over the last two seasons as the Blues increased their focus on youth. 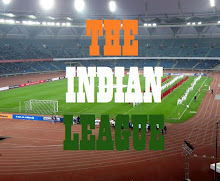 They combined for a total of 30 appearances in the last edition of the I-League. Muzzafarnagar-born Nishu Kumar had a breakthrough season with the highlight being a goal against Bangladeshi-side Abahani Dhaka in the AFC Cup. The youngster’s impressive performances also caught the eye of the Indian Coach Stephen Constantine who called him up to the national team as he was voted the Blues’ Most Improved Player of 2016-17 season. “I’m very happy to continue with Bengaluru FC. It was an easy decision for me. The amount of trust the management and the coaching staff has shown in me means a lot. The last two years were fantastic as we achieved some incredible things and we would like to do something similar as we enter a new phase in our club’s history,” said a delighted Nishu after completing the formalities. Joining him will be Mizo duo of Malsawmzuala, who was voted the Blues’ Most Improved Player of 2015-16 season, and Daniel Lalhlimpuia who has been capped at the senior level for India. The latter who has featured frequently in the starting line-up this season will play an important part in the club’s campaign in Asia. “We are at a very crucial junction in the AFC Cup and I am looking forward to playing my part. I’ve spent two years here learning and the coach has shown faith in me and I’m looking to continue doing that,” said Daniel, who has been retained for the AFC Cup. “These boys have been an important part of our team for the last two seasons and we’re delighted to have them with us as we head into a new chapter in our Club’s history. Considering the rules of the ISL, we could only retain Nishu and Malsawmzuala for the league, given that Daniel has become a full India International. But we don’t want to lose him out as he forms a vital part of our plans. His contribution will be immense in not just this year’s AFC Cup campaign, but the one in the following year as well,” said Albert Roca, Bengaluru FC Head Coach. Daniel and Nishu are currently in Qatar after being named in India’s Under-23 team for the AFC Under-23 Championship Qualifiers. I hope that things can go perfect if a good team selection is made. However, this is necessary for them to have good training.